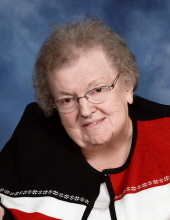 Elizabeth “Betty” Teply, age 90, of Faribault, passed away on January 16, 2019 at District One Hospital, Faribault. Funeral services will be held at Our Savior’s Lutheran Church, Faribault, on Monday, January 21, 2019 at 11:00 a.m. with the Reverend Anders Nilsen officiating. Interment will be at Cannon City Cemetery. Visitation will be at the church for one hour prior to the service on Monday. Betty was born on October 13, 1928 to parents Frank and Martha (Plitzkow) Teply. She graduated from Faribault High School in 1947. After graduation she worked at various jobs in the Faribault area. She was a Technician at the Faribault Regional Center for 32 years, retiring in 1990. Betty was an active member of Our Savior’s Lutheran Church and its Lamplighters group. She was a longtime member of the Eagles Auxiliary and State Mother for the year 1994-1995. Betty is survived by her nephews, Franklin (Beverly) Lien and Stanley Lien; nieces, Marjorie (Donald) Johnson, Donna (Thomas) Punsel and Carolyn Lien; many great nephews and nieces and good friend, Ginger Myers. Betty was preceded in death by her parents, Frank and Martha Teply; sister, Lorraine (and Howard) Lien; nephews, Richard and Steve Lien; and niece, Sharon Lien. "Email Address" would like to share the life celebration of Betty J. Teply. Click on the "link" to go to share a favorite memory or leave a condolence message for the family.